Recently, LinkedIn has been the most professional of all the major social networking sites we have today. With the presence of millions of subscribers worldwide, LinkedIn would make an essential part of your social media marketing strategy. Here are some tips on how you can take your LinkedIn to the next level. Create a page where you share stories about your company, the products, and services. Here, you can also share updates engage in recruitment of employees. The banner page which reflects the company’s image and product brand. Quality description of products and services in the form of images, YouTube videos, and even links. Updating your website contents with links to details. The update posts should have regular postings. Update posts on open positions for recruitment of new employees. How do you achieve this? In addition to the conventional listing information on your work experience and education. Posting brief, useful statements about your happenings and relating them to your You will keep your connections informed at the same time it has them visit your website to grab more info. Creating articles on your profile will help establish you as a thought leader and get you more exposed to the LinkedIn community. Add relevant videos and presentations which will attract more viewers who find the content valuable. Placing recommendations which will display your expertise and experience and boost your profile. Showcasing relevant publication which in any way have featured a project you are currently working on or one already done. Linkedin presents an essential tool for social media marketing. How do you brand your LinkedIn address? When you are done creating your profile, there is a link assigned to your account which is represented by a collection of letters and numbers. You can edit or customize the link to your name. Customizing attracts other users to your profile. Becoming an expert by regularly posting educational status updates and actively participating in group discussions. Connecting to a prospective buyer through other active connections. 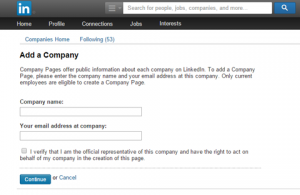 By making use of Linkedin’s introduction features, you are sure to bring yourself closer to your target. On the LinkedIn community, there are features which help you communicate with many people at the same time. These features include groups which help you be in touch with people who share your interest. It also offers you the opportunity to create your group while inviting other people or join an already existing one. This feature will help you increase your influence over a large number of people. Linkedin holds so much prospect as a social media marketing tool. With its many features, you are sure to grow your business. For social networking, LinkedIn provides the perfect platform without any marketing stress.